The Capstone online FE CBT and PE preparation program combines targeted engineering principles instruction with authentic practice problems and easy-to-follow solution steps to give you the knowledge, tools, and resources needed to successfully pass the FE CBT and PE exams. More than an online video or collection of lecture note pdfs, the Capstone Learning online solution is designed and delivered by applying the highest standards of computer-based adult learning principles. Our unique program uses an exam-centric, eLearning methodology based on proven instructional design best practices to maximize the time required for you to effectively prepare for the FE CBT and PE exams. Packaged as discipline Specific exam curricula, or segmented into discrete subject modules, all of which include topic level navigation, the Capstone program makes it easy for you to focus directly on the content most relevant for your own exam review requirements. Purchase the curriculum that best suits your needs, or select only those topics for which you need targeted preparation. With expert narration augmented by rich instructional graphics; exam approved references; tutor support; fundamental tools and formulas; and best practices for solving problems just like the ones you will encounter during the actual exam, the Capstone program offers learners a truly authentic, one of a kind, training experience designed for success. Click the Catalog link to learn more about these courses. Click the Corporate Program link to learn how companies and other organizations can receive all of the Capstone advantages while obtaining discounted enrollments and saving on administrative overhead. The PE review applies a learning methodology that mirrors the PE exam experience. 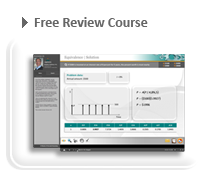 In addition to the contextual knowledge, tutor support, and problem-solving techniques and practice, the curriculum includes an SI/USCS unit conversion module and identifies the best resources to apply to solve problems for each PE exam topic. If you are a returning customer, select the "Click here to Log-In to the system..." link at the top of this page to access your Learning Path. And, of course, if you have any questions, please email us at inquiry@capstonelearningassociates.com, or call us at 650.504.0301.